Kdrama land in January 2015 is not as excited as it is in 2014. 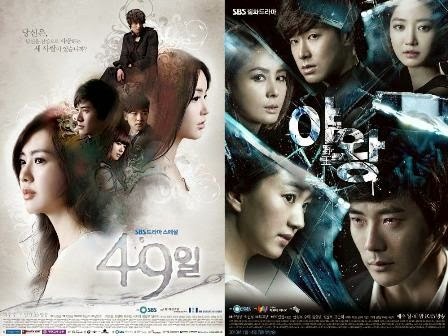 During the first quarter of 2014, drama lovers showered with several good series, such as My Love from Another Star, Emergency Couple, and Prime Minister and I. However, I must say kdrama land in this early 2015 is a bit bland for me. Nevertheless, there are several upcoming hopeful dramas to watch during the first to second month of 2015. This drama is based on the webcomic “Jekyllbaksaneun Haideussi” by Lee Choong Ho which was first published from 2011-Feb-15 to 2011-Nov-25 via “daum.net“. Jang Ha Na (Han Ji Min) works as the master and actress in a circus at Wonderland, a large amusement park. Meanwhile, Goo Seo Jin (Hyun Bin) is a third-generation chaebol and the CEO of this Wonderland. Due to a childhood trauma, Seo Jin suffers from multiple-personalities disorder. One of his personality is that of “Hyde” who has a cold personality. The other personality is that of “Jekyll” who has a sweet and innocent personality. When Seo Jin tries to eliminate the circus from Wonderland, Ha Na fights to keep it at Wonderland. In the process, She finds herself falling in love for both of Seo Jin’s personalities. But can such a strange relationship work? Can a woman be in a love triangle with just one man? Jang Ha Na finds herself in that impossible situation. Well, we all already know that the reason why I choose this drama as one of several hopeful dramas to watch to during this month is because one of the most beautiful men with the amazing cheekbones is the lead actor in this. Hyun Bin oppa! I’m really excited about his newest drama. I know he can play any roles and characters but his character in this series is definitely interesting and new. Let me remind you that he plays dual character in this series. I’m excited to see his transformation from one character to another. I’ve already watched the short teaser from the drama and four years of military service seems to not eliminate his great acting skills. The good guy-bad guy character of him is the perfect interpretation of his face. The good guy side is represented by his cute and angelic dimple which appears every time he smiles while the bad guy side is represented by his sharp jaw and beautiful cheekbone. I wish this drama will help bring him back from the dead and become his remarkable comeback in kdramaland. Moreover, the other casts also make me interested in watching this series. Han Ji Min is not only known for her fancy faces but also great acting skills. Honestly, I only watch her in Rooftop Prince, but I believe she will give another solid acting like she did in Rooftop Prince. 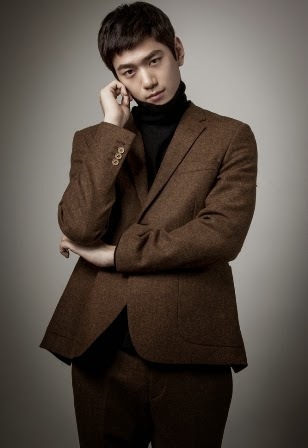 Sung Joon’s existence in this drama also become one of my reasons of excitingly waiting for Hyde, Jekyll, and Me. I can picture the competition between him and Hyun Bin in attracting Han Ji Min’s heart. And I think it will be interesting. However, I’m not upbeat about Hyeri. Despite her cute aegyo, I don’t think Hyeri will catch up with the amazing acting skills from the other three main casts. A bit disappointed with production team’s decision in choosing Hyeri. But let’s hope my disappointment will turn into satisfaction. From the production team side, I think this drama’s storyline will be quite tear-jerking, since the director is known for his two sad and heartbreaking dramas, 49 Days and Queen of Ambition. I’m not finish watching two of those dramas, however, I think the director succeed in directing the actor and actresses to portray the tragic story of those dramas. 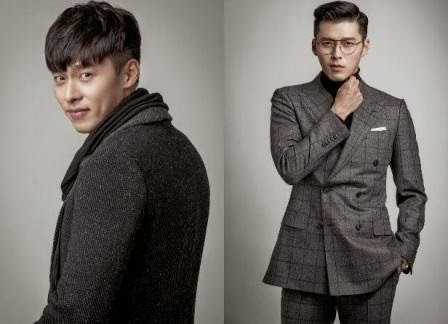 I hope director Jo Young Gwang will repeat his success in Hyde, Jekyll, and Me. As for the scriptwriter, honestly I never watch any Kim Ji Woon’s work. But let’s hope his work in Hyde, Jekyll, and Me will be remembered by me as his wonderful jobs. 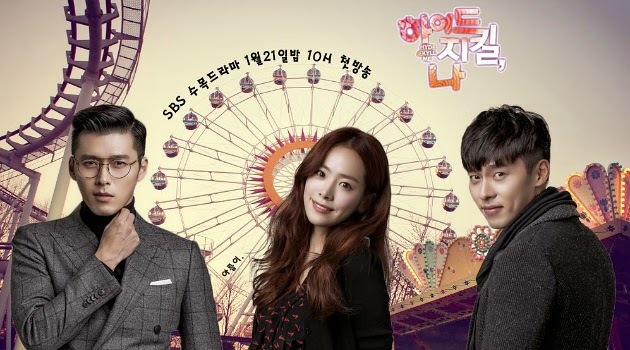 Aside from Hyde, Jekyll, and Me, I’m also rooting for this drama. The reason is probably similar; because Jang Hyuk is the lead actor. The story also seems interesting. This drama is based on the web novel “Bitnageona Michigeona” by Hyun Go Woon which was first published from 2014-March-17 via “daum.net“. This is a drama takes place within a palace between cursed emperor, Wang So and an abandoned princess, Shin Yool. 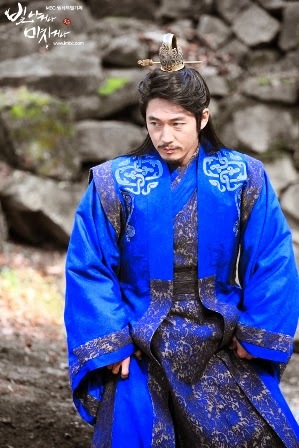 Wang So (Jang Hyuk) is the Prince of Goryeo who has a cursed fate. He had to get married with the Last Princess of Balhae, Shin Yool (Oh Yeon Seo). She was born with the fate of becoming the light for another country. But because of this fate, she has to face death. Through their marriage life, Wang So and Shin Yool begin to grow closer and love each other. Dramas that are based on comic book or web novel seem popular these days. 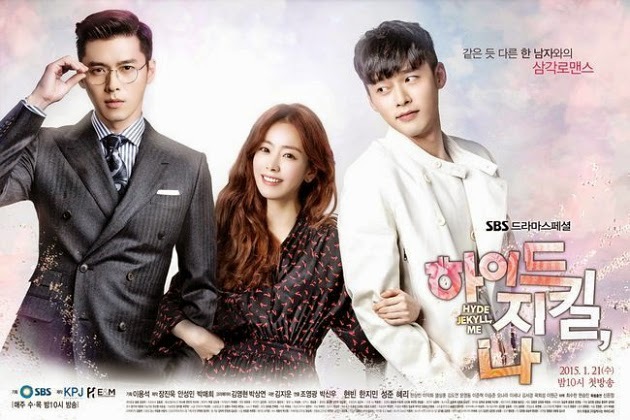 However, unlike Hyde, Jekyll, and me, this drama offers more fantasy and history taste. From the storyline, I must say that this drama is appealing. The story is somehow a bit similar to typical Korean drama in modern area story, an arranged marriage. The different is probably this drama sets in Joseon era. For me personally, an arranged marriage-typical-storyline is always interesting, though viewers will likely to guess precisely what will happen in the end. Yet, Shine or Go Crazy appear to also offer some hardship and tragic story, as the fate of the princess give the impression that this lovebirds will not walk on a smooth love journey. As for the cast, it seems like Jang Hyuk will (once again) involve in a fated love story (just like what he did in Fated to Love You). It’s not bad, since this one fine looking man appear to have something that can melt one woman’s hearts in no time. However, I’m a bit disappointed with his looks in this drama. 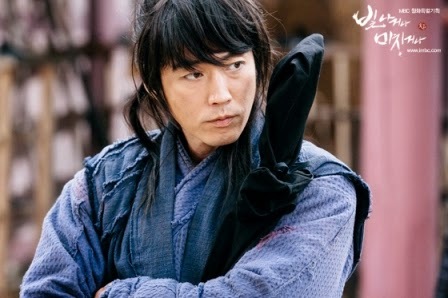 Jang Hyuk and long hair is never working, I think. Combining Jang Hyuk and Oh Yeon Seo is a good idea. I never watch Oh Yeon Seo’s drama before but I knew she’s really popular from her successful drama, Jang Bori is Here. Based on everyone’s compliment of her acting (in Jang Bori is Here), I think she will revive this drama in a good way. From what I see in this drama’s trailer, Oh Yeon Seo look as if she will play a funny character, which is the opposite from Jang Hyuk’s character which seems more serious and involve in solemn problem. As for the production team, director Son Hyung Suk apparently has already given kdrama lovers several excellent works, such as Two Weeks (2013) and Personal Taste (2010). I hope he will do the same thing for Shine or Go Crazy. He could implements the exciting and thrilling action scene work from Two Weeks and sweet yet tender love story from Personal Taste for this one.